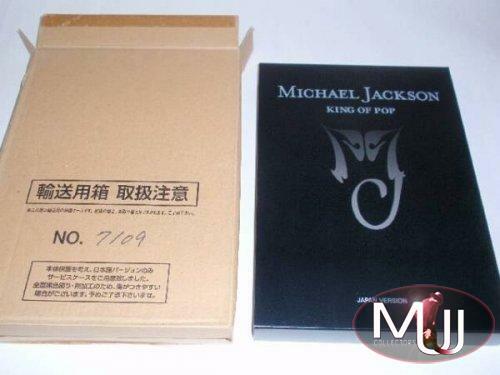 'Michael Jackson King Of Pop' officially approved by Michael himself in 1999. 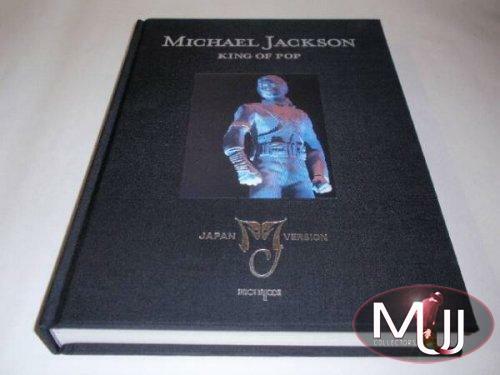 This is a huge book full of colours pictures, biography, history of his awards and tours etc... 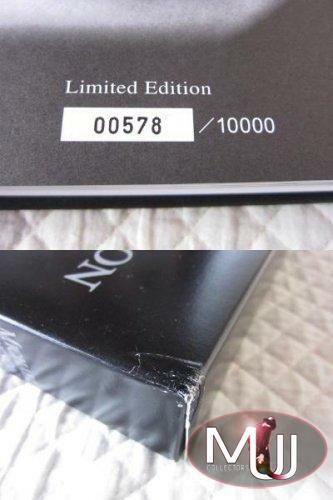 It was released in a numbered limited series of 10,000 pieces only. 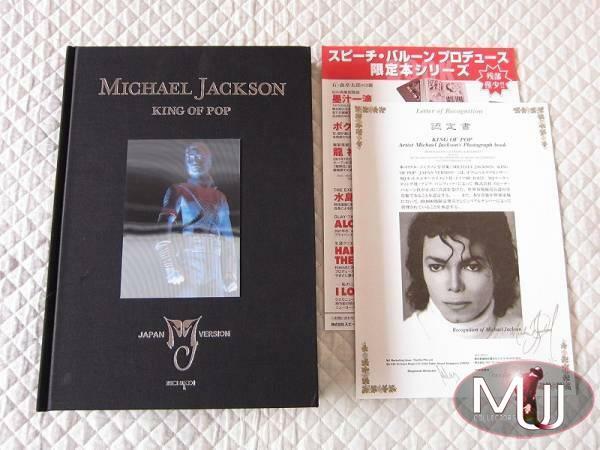 The Japanese version comes with an hologram picture on the front cover plus a letter of Michael himself with his printed signature stating his recognition as a licensed book. 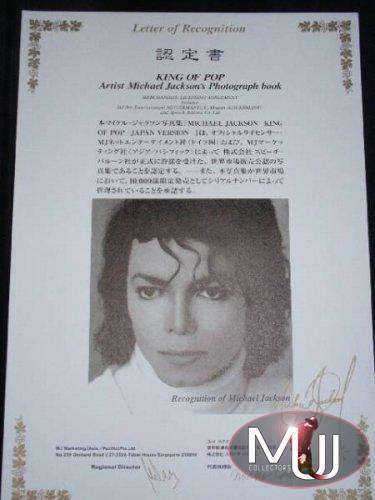 Magnificent book full of photos. Regrettably I do not read Japanese.